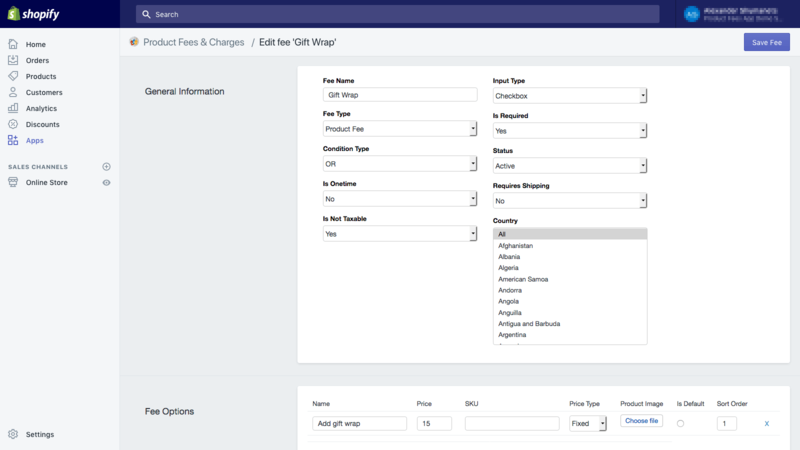 Gain EXTRA profit for each order, increase the average order value and optimize product pricing. from Order & Product Fees App? 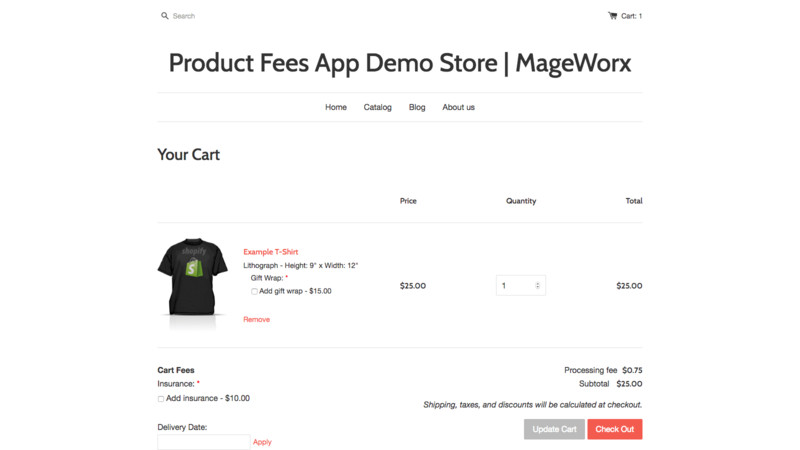 Setting as many fees & charges for an item/service as optional or required. Pricing diversification thanks to multiple options for product fees. Advanced fee conditions & simple fee management. Stable performance thanks to a cloud-based hosting which has an optimized load balancer. Gift wrapping, handling expenses, personalized offers — such as print-outs, images, premium services, upgrades, express delivery, etc. 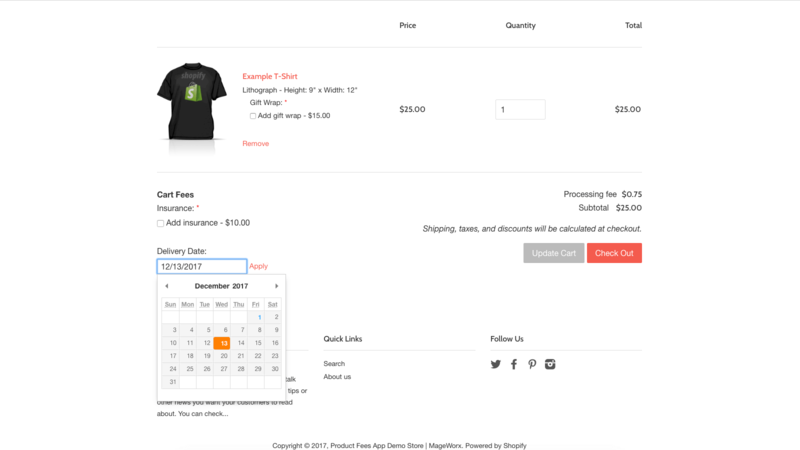 — introduce as many special offers/services as you need for any item in your Shopify store, as well as add options to choose from in the offered extra fees and charges. hidden, i.e. making extra fees compulsory for payment with no option to choose. Fixed price vs Percentage. The first option lets you determine the price on your own, while the second one gets calculated depending on the base price of an item. 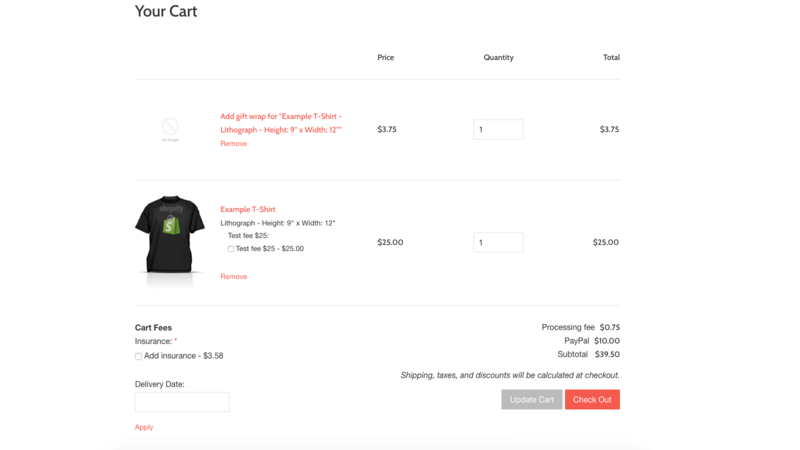 Also, the app allows you to automatically apply additional fees to the entire cart with/without letting customers choose product options. total number of items in the shopping cart. Tagged with. Fees are assigned by tagging. Variant ID. Fees are assigned for certain variants of products. Customers Tagged With. Fees are assigned for specific customers. 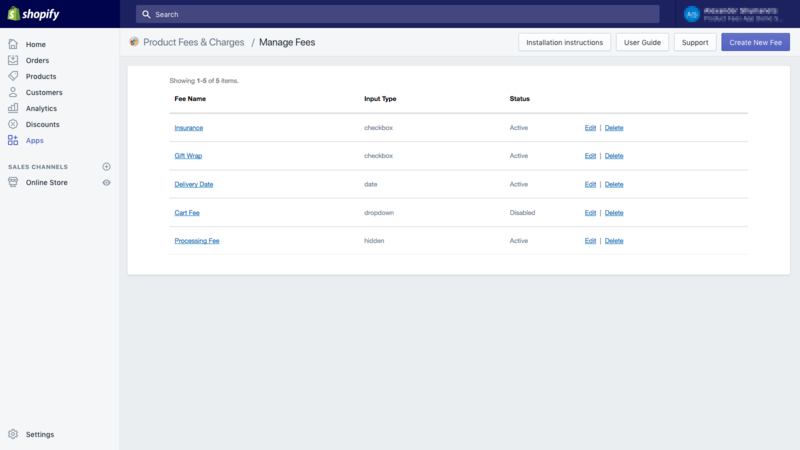 Also, you can have an alternative to choose when fees & charges are to be displayed – AND/OR Condition Operator. Great app! works perfectly on our store and it does exactly what we needed. Customer service is amazing! Exactly what we needed to collect online convenience fees for certain services that can be purchased in our store at a lower cost to us. Highly recommended if you have a retail store and want to encourage in-store purchases for local services. The app works perfectly and makes it so easy to offer up sell items along with gift wrapping for our customers. The support is beyond amazing! Every question and request was answered quickly, accurately and very professionally. I would highly recommend this app to anyone running a store that needs to offer add-ons or up sells on their products. This app works great, and greatly improves my team's workflow. On top of that, I requested a feature that didn't exist, and it was implemented right away! I would definitely recommend this app and other MageWorx apps.